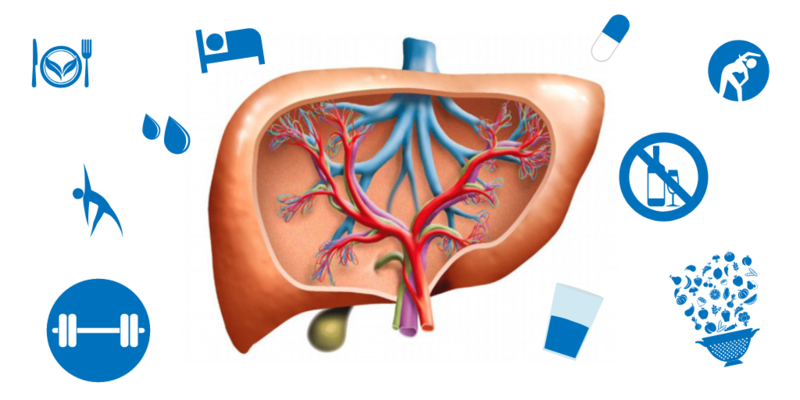 The liver is one of the most important organs in the human body. It is a large organ that sits on the right side of the stomach. It is protected by the rib cage and weighs about 3 pounds. The gallbladder rests under the liver along with parts of the intestines and pancreas. Together, these organs help to digest, absorb and process food. The liver filters blood before sending it to the rest of the body, detoxifies chemical s and helps metabolize drugs. The liver also makes proteins which are important to other bodily functions. It also breaks down food which gets converted into energy. Carbohydrates are broken down into glucose and stored in the liver and muscles as glycogen. Glucose is a sugar. Glycogen is a complex carbohydrate, and it is mainly stored in muscles for energy. A diseased liver causes weakness and can greatly affect the ability to produce muscle mass. Liver detox cleanses are not usually recommended by physicians as they usually prescribe medications that have been approved by the FDA. Even so, some physicians will recommend liver cleansers that have milk thistle; since it has been shown to decrease liver inflammation. There have also been clinical trials that have proven such positive effect. 3X Natural Support is natural test booster, liver support, and post cycle product all in one capsule. Milk Thistle is a component in our 3x Natural Supports; aiding in weight loss, bone health and liver health; promoting skin health and reducing cholesterol. Health liver means the ability to build healthy muscle. There is not one part of the body that is not connected to the other. Alcohol should be used in moderation. Dietary and muscle building supplements should all be taken as directed. And as always, consult your physician if you should experience abdominal swelling, pain or discomfort to the right side of your stomach, or before you start an exercise program or supplements.